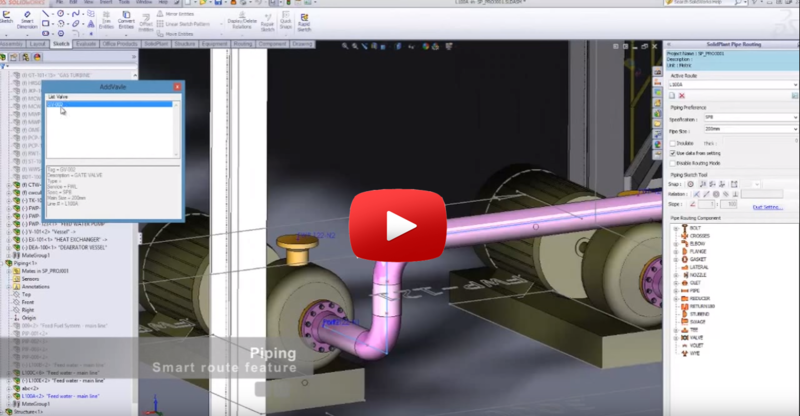 SolidPlant 3D offers the most complete set of piping features. 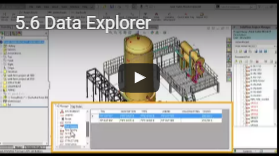 Manual or fully automated, everything supported by a vast database of pipe component catalogues. 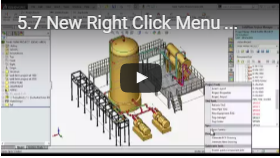 The latest smart feature from SolidPlant. Now we don’t need to worry about routing to the wrong nozzle. SolidPlant will use the data from line list. Which contain the from-to nozzle number information to create automatic route line from nozzle to nozzle with the shortest route path. 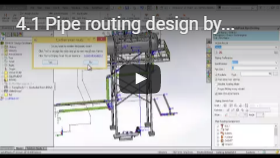 The user will be allowed to modify the route by cut, extend, trim or other sketch tools that are provided by Solidworks until we get the best route path. Easy and flexible. 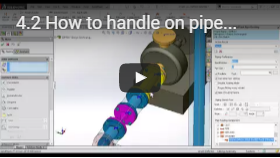 From the valve list data, SolidPlant will let pop up all the valves that are related to the pipe line number that the user just finished routing. We can drag and drop from the list on the pipe automatically. You will never miss the valve or put it to the wrong line number. We can add flange fitting and check the data from it such asschedule or rating. 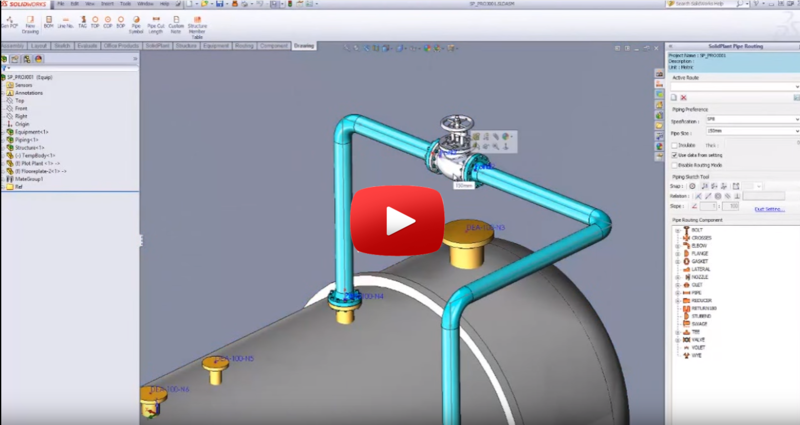 With a simple draw panel, Now we can draw 3D cable tray by continuing one by one part. The connection can change the direction by toggle the tab button. 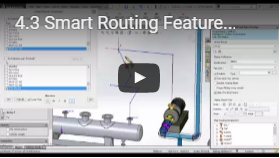 Rapidly create a pipe line using the SolidPlant Smart Route function. 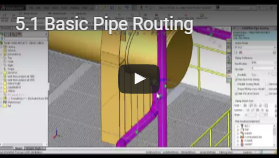 Edit pipe position and size and add components to the route. 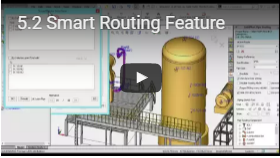 Use manual editing along with Smart Route feature for more flexible designs.